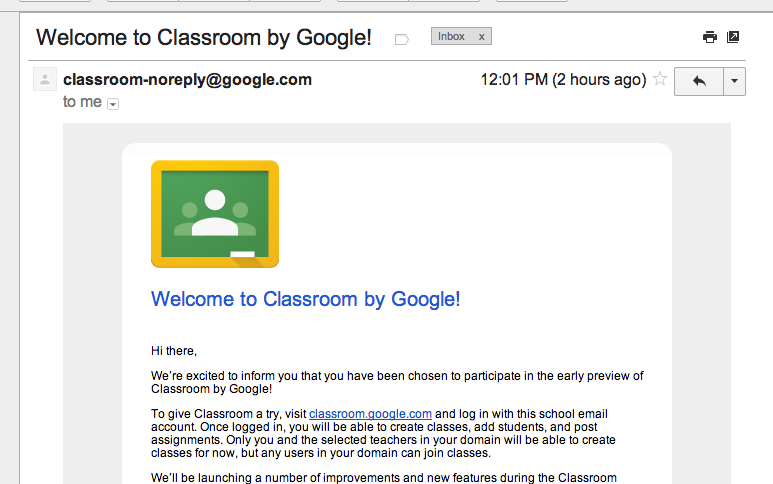 FINALLY got my invitation to Google Classroom today. Thank you, Google! Google Classroom from EdTechTeacher on Vimeo. A BIG THANKS to these early adapters for lighting the way for us! 12. Google Certified Teacher and Trainer Aaron Svoboda created this AWESOME slide presentation that will get you up and running in a jiffy.